Joy in Everyday Life expands the meditation experience by exploring mahayana teachings and developing kindness toward ourselves and others. As meditation practice deepens and we develop trust in basic goodness, we can begin to discover the confidence and personal energy to go forward on the journey. Joining gentleness with discipline leads to a sense of joy. The mahayana teachings on compassion can become the inspiration for a life of bravery and freedom from doubt. Please register by February 12. Please register for classes and levels at least 2 weeks before the event. This gives the teachers and staff the time they need to prepare and provide the optimal environment for presenting the teachings. If registration is under 5 participants, classes and levels may need to be re-scheduled. We appreciate everyone helping us with this. 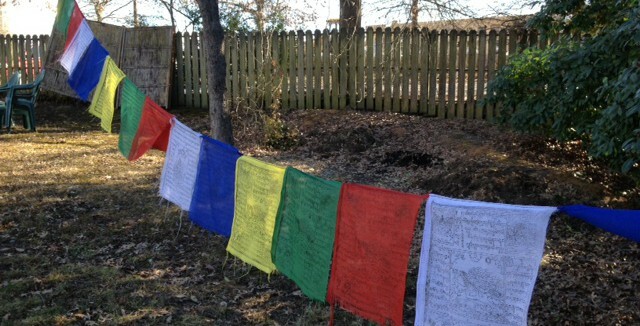 The Durham Shambhala Meditation Center thrives due to the generosity of program participants, friends and members. Recognizing that generosity, trust and openness are interconnected, we offer all of our programs on a “suggested fee” basis and welcome participants to offer less or more than the suggested amounts as they choose. Participants can pay in installments, volunteer for work/study credit, or offer whatever payment they are able. Nobody is turned away due to financial constraints. Contact Dee Lutz at deelutz@mindspring.com to arrange payment details.